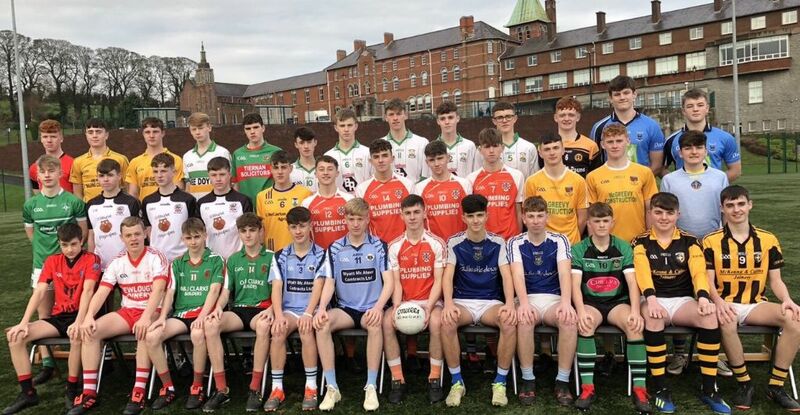 The St Colman's Rannafast Cup team gathered together for a photo in their club jerseys ahead of this weekend's Rannafast Cup final. Without the brilliant coaching at clubs at underage we would not have players to compete at this level. There are 24 players on the Panel from clubs in County Down and 13 players from clubs based in Couty Armagh. There are 20 different clubs in total represented.